On the 14th of November 1801, Lannes was appointed Ambassador to Portugal, and with a few basic lessons in diplomacy from Talleyrand, acquired the title minister plenipotentiary and envoy extraordinary to the Portuguese court in Lisbon. Lannes would spend the next few months gathering up military officers which would make up his diplomatic staff, and these officers included de Soucy, Heim, and Subervie. 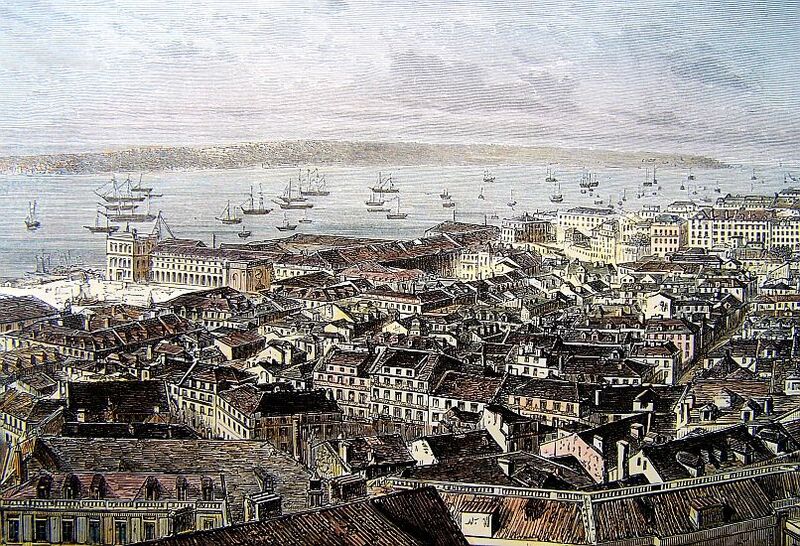 On the 26th of March 1802, Lannes and his staff landed in Lisbon with the dissatisfaction of the English Ambassador Frere. Lannes would raise hell at every opportunity keeping Lisbon the talk of Europe. He would first have to bully the Prince Regent Dom Joao, who was the kings son. He would get the opportunity to do this when his belongings were seized for inspection at the port. He was able to get some personal items but this meant war, and this diplomatic warfare would continue throughout his stay in Lisbon. His opponents strategy would use French temper to cause an incident, and that might lead to his removal from Lisbon. It started one night with Portuguese police harassing Subervie which brought about a fight, which resulted in his arrest. Subervie would be released and Lannes raised hell that got him nowhere. Lannes finally had enough, and after only five months, left Portugal for France on the 10th of August 1802. 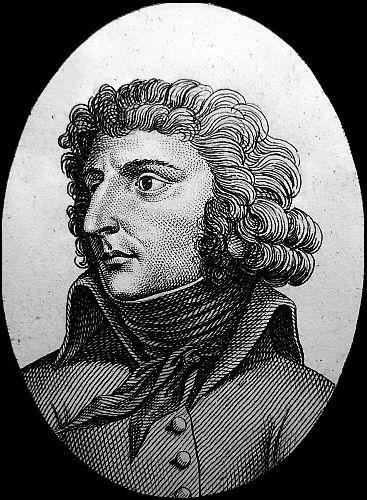 When Bonaparte heard this news he refused to see him and made Lannes wait at a distance, while the two governments worked out the situation. On the 10th of March 1803, Lannes returned to Lisbon, and by this time the English Ambassador Frere had been replaced with Fitzgerald. The two groups would wage a secretive war against one another using deception as their weapons. Lannes had a secret weapon that the British Ambassador overlooked. This weapon was Madame Lannes who would use all her attributes to win over the Portuguese nobility. Lannes would soon have his way with Dom Joao, and Fitzgerald would remain on the sidelines grasping for information. Now Fitzgerald would be the one using threats which did not improve his governments political situation in the region. On the 19th of March 1804, a treaty was signed between France and Portugal with the terms overwhelmingly favoring Bonaparte. Accounts brought by the Lisbon Mail, which arrived yesterday morning, state that the French Minister General LANNES had quitted Lisbon on the 10th instant in an abrupt manner. His sudden departure had occasioned a considerable alarm both at Court and in the city. His departure is attributed to the refusal of the PRINCE REGENT to dismiss, on the remonstrances of General LANNES, the Minister of Police, who had insisted on searching some baggage belonging to the Republican Plenipotentiary. It has not been concealed even in Paris that General LANNES did not much approve of his appointment of Ambassador to the Court of Lisbon, and he has probably taken the first opportunity to revisit the Thuilleries. General LANNES, Envoy Extraordinary and Minister Plenipotentiary of the French Republic, left this Court on the morning of the 10th instant, a measure which he took from his own proper will, and which is the more unexpected, as the civilities and attentions paid to him by this Court, in demonstration of the constant friendship, perfect harmony, and good understanding subsisting between this Monarchy and the French Republic have been constant and repeated, and as there does not exist any actual object of discussion between the two Governments which can alter, in the slightest degree, the happy relations of this country with France, relations which this Court desires efficaciously to promote, and even to render more intimate. COPY OF THE NOTE OF THE MINISTER OF FOREIGN AFFAIRS TO THE DIFFERENT MINISTERS RESIDENT AT THE COURT OF PORTUGAL. General LANNES, Envoy Extraordinary and Minister Plenipotentiary of the French Republic, having adopted the unexpected resolution of withdrawing from the Court, his Royal Highness the Prince REGENT, my Master, has ordered me to communicate to you this event, which is the more unlooked for, as he had received the most ardent and distinguished testimonies of regard, sounded upon the most perfect harmony and entire good understanding subsisting between this Monarchy and the French Republic; and this too at a moment when there existed no object of discussion which could in the smallest degree affect the friendly relations which his Royal Highness desires, and will make it his study to promote. You will have the goodness to give notice of the above to your respective Courts. This circumstance, so very uncommon without a notice or declaration on the part of an Ambassador, must, no doubt, have produced some anxiety in the Cabinet of Lisbon; but we rely with confidence on the pledges and assurances given by the FIRST CONSUL, that he will contribute, by every possible means, to the stability of peace, and not suffer the tranquillity of Europe to be disturbed by the irritable temper and petulance of any one of his Plenipotentiaries, however favored. It is an undoubted fact that General LANNES received his diplomatic appointment in disgust, and he may have probably rather fabricated a pretext, than a cause to return to Paris. 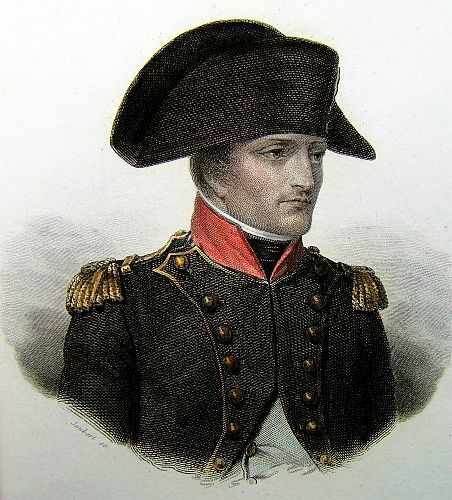 It is said that the departure of General LANNES is grounded on the refusal of certain satisfaction required by France, and tacitly conceded on the conclusion of peace, and the view, as appears, of eluding them; which is proved by the fact, since General LANNES, agreeable to the orders of the FIRST CONSUL, demanded either the immediate fulfillment of them, or passports to depart. The last was complies with, and he left Lisbon four days ago with his Secretary of Legation, proceeding in all haste to Madrid, where no doubt he will arrive this morning. His wife was to set off this day by the packet for England, in order to proceed more commodiously to France, having to nurse a young Citizen, scarce a month old. Madame LANNES is a woman of the most amiable disposition and manners, and of the most correct conduct. 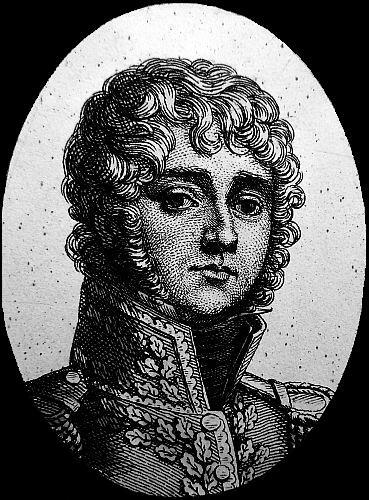 It is said that General LANNES made a free eulogium on the PRINCE REGENT to M. PINTO de VALSEMONT, stating that the Prince was good for nothing but–(a very coarse expression), and that his Ministers knew it well, since every one of them was a despot that reigned for the sole purpose of enriching himself and committing iniquities for which there was nobody to call them to account. This violent tirade shows the character of the General, who is a brave soldier, but no statesman. This tirade too he actually pronounced with a loud voice at the very time when M. PINTO waited upon him to beg him to be quiet for some days; and when it was stated to him that hopes were entertained of prevailing on the PRINCE REGENT to agree to his demand. An hour after, however, his passports were sent to him. dictatorial manners, and by going away without leave. The abrupt departure of the FRENCH AMBASSADOR, from Lisbon continues to occasion a great deal of discussion, and the Stocks have certainly felt the depression from the circumstance, although, in the present state of the Market, it is superfluous to ascribe their variations to any distinct political causes from without. From all the information which has transpired with the regard to the late occurrences in Portugal, it is as yet impossible to ascertain whether the resentment and departure of General LANNES arose in a private or national object. It is certain, however, that in either case this Minister has not conducted himself with temper, assumed civil character and deportment which ought to have belonged to him. He seems to have taken BERNADOTTE for his model, and to conceive that the first object of a French Legation is to intimidate and insult the Ministers and the Sovereign where it resides. We have not seen with satisfaction the present fashionable monopoly of diplomatic offices by the Military, and it is to be hoped it will soon have the fate of other Jacobinical innovations. It remain to be seen what turn the affair will take at the Thuilleries, and whether the PRINCE REGENT of PORTUGAL has been obliged to oppose himself with so much resolution to public demands or personal insolence. In either case the weakness and disparity of his power leaves little presumption in favour of France or the Minister, and the world will not fail to believe in this occurrence, that his Royal Highness has been driven almost to desperation, either by the extortion of that Government, or the arrogance of its Representative. 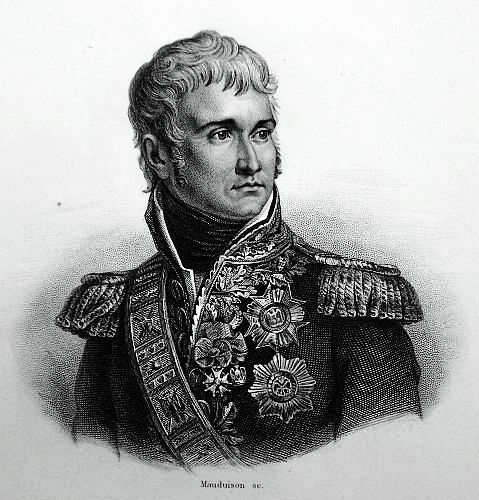 Should the personal violence and irritable temper of General LANNES prove to have been the sole cause of his abrupt departure from Lisbon, General BONAPARTE will no doubt seize with avidity the opportunity of exculpating his Government from the suspicion which at present attaches to it, and will publicly disavow that overbearing and odious character which the first fury of the Revolutionist impressed upon their diplomacy. The glory of sending Grenadiers as Ambassadors to Pronces belongs to ROBESPIERRE, and that order of Sovereigns. But if any conditions or exactions have been attempted upon a weak and defenceless Kingdom, all Europe will revolt at the flagrant injustice and abuse of power; and the PRINCE of BRAZIL will have the glory of giving the alarm, and setting the example of a brave and royal resistance to remorseless unprincipled injustice, with whatever success, and however (in the depraved profirate state of national principle and public honour) it may be seconded by other states. As a mere affront and insolence to his Royal Highness, it will not be police in the FIRST CONSUL to maintain and defend the conduct of LANNES. It is his interest to inculcate and enforce respect to every ruling authority, whatever be its title or its conduct; and to repress the Republican affectation of humiliating or insulting Princes, amongst his own Generals in particular. He is Consul. And he will disturb the tranquillity of his own reign if he suffers the sovereign character to be degraded in the eyes of the world. From the reception therefore of General LANNES at the Thuilleries we shall draw our first prognostication of the nature of his dispute with M. de PINTO. 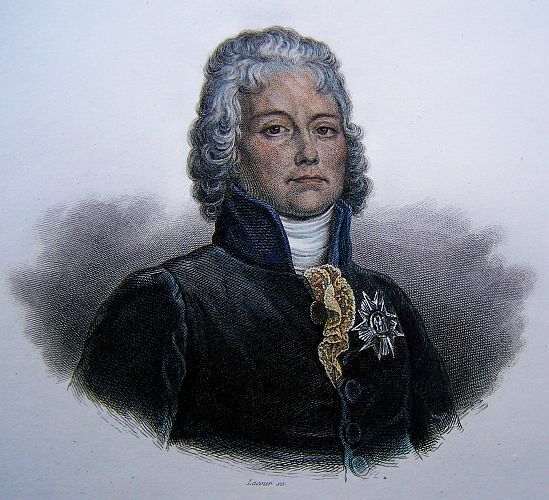 The FIRST CONSUL will not tolerate the mere personalities of his Agent to the Prince REGENT but if the quarrel is of his own dictating, he will let Portugal understand how absurd, in times like these, it is for any State to bandy words with France that is not able to measure swords also. We are glad to find that the cause of General LANNES abrupt departure from the Court of Lisbon was of a personal nature, and unconnected with any national object. 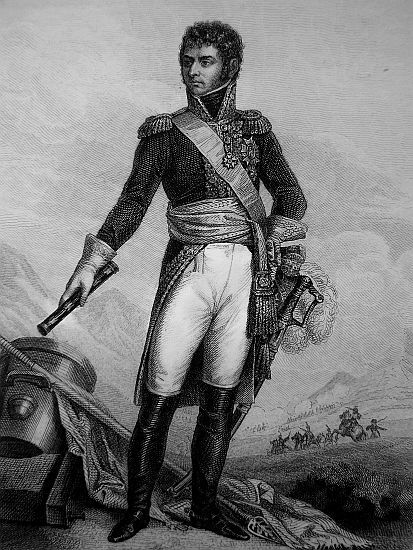 The suggestion we ventured to make, that he had taken BERNADOTTE for his model, appears confirmed; but as General BONAPARTE is now become himself a Sovereign, we are inclined to believe that he will make an example of his Ambassador, and thereby shew to all Europe that he will not permit the agents of his Government to intimidate friendly Powers by their impertinence and their violence. It was the ancient custom in France, and it remains the same in many other countries, for the Government to farm certain duties to individuals. In the case of Foreign Ministers, it is well known there is a general exception to their paying the customary duties of the Country, on a certain proportion of articles of Dress and Furniture, which they may choose to bring with them. In such cases, it is usual, where the duties are farmed, for the Government to make good the amount of them to the Levees, but in every instance the packages, are under the cognizance of the Custom House, which has the right of inspection before they are permitted to pass. Were the usage other wise, it is impossible to calculate the numerous frauds which would be committed. On the baggage belonging to General LANNES being landed at Lisbon, the officers insisted on the usual search, which being refused, a dispute arose, but they persisted in the exercise of their right. General LANNES, resuming on the power of his Court, wrote a very rude letter to M. de PINTO, the Portuguese Minister, peremptorily insisting on the dismissal of those Officers, or he should leave Lisbon. M. de PINTO endeavoured to reconcile him to the usages of the Country, but in vain. We are very anxious to hear the result, and to learn in what manner General LANNES is received on his return at the Court of the Thuilleries. We are informed from the most undoubted authority, that the CHIEF CONSUL has expressed himself extremely dissatisfied with the conduct of General LANNES; but as the latter has a considerable influence among the Army, it is not probable that any public notice will be taken of his conduct, another Minister will be appointed to Lisbon. A Mail arrived from Hamburgh yesterday morning. The firmness and moderation of the Prince Regent of Portugal have done him great honour, whatever shall be the conduct of General BONAPARTE with regard to LANNES. At the same time, it would be as well no to send Grenadiers upon missions for which they are unfit, more particularly if there is danger in reprehending them for it. Neither can it escape the observations of thinking men, that these tones of ALARIC and ATTILA are designed to prolong the perturbations of all Europe, and sustain the terrific character of a Conqueror. General LANNES, Envoy Extraordinary and Minister Plenipotentiary to his Royal Highness the PRINCE REGENT of Portugal, was presented, on Sunday Last, to the FIRST CONSUL, by the Minister for Foreign Affairs. He received his audience of leave on his return to his post. The FIRST CONSUL specially recommended to him to take care that justice shall be done, and protection given, to the French commercial interests at Lisbon, as he had already begun to do in the first year of his mission. He particularly told him, that he was satisfied with the service which he had, up to that period, performed in that residence. Yesterday we received Paris Journals to the 1st inst. 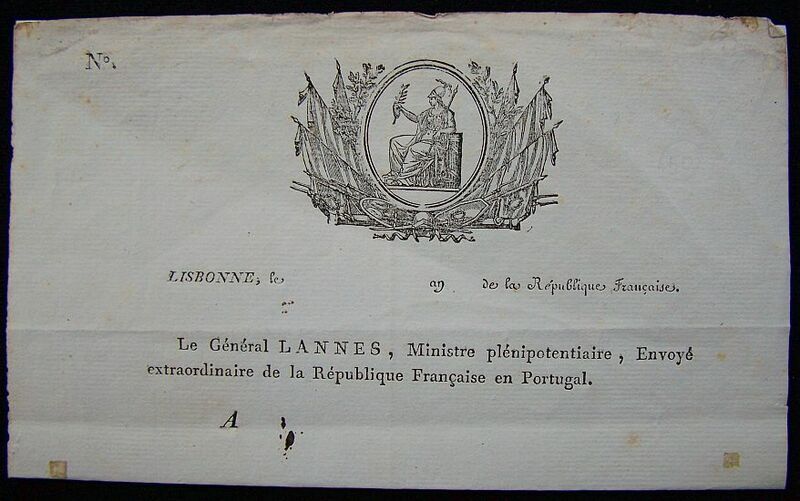 General LANNES has had his audience of leave on his return to Lisbon; his conduct has been sanctioned by the eulogium of the FIRST CONSUL, and he is authorized to continue his protection to the commerce of France, on his arrival at the Court of Portugal. Is it meant that he shall take with him, for the purposes of private trade, whatever commodities he may think fit to deal in? 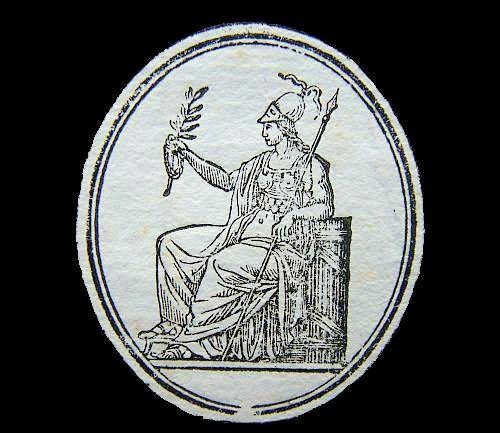 We have always, and always confidently, provoked the attention of the public to this insolence as a Sykem, and political engine, which the FIRST CONSUL employs to prolong the perforations and cowardice of the Continent, in spite of the Peace, and we cite his conduct respecting SEBASTIANI and LANNES, in confirmation of it. The presence of LANNES is not only forcibly imposed upon the weakness of the Sovereign of Portugal, but the Minister for Foreign Affairs, and the Chief of the Police at Lisbon, are both to be dismissed at the dictate of the FIRST CONSUL, to appease the anger, and soothe the pride, of a diplomatic smuggling Grenadier, and to teach the Ministers of independent States, that there is some dander in doing their duty towards their Prince and Country, in resistance to the most sordid interest or will of a Frenchman. The report that General LANNES had, on his arrival at Lisbon, refused to go to Court, unless all the Portuguese Ministry were dismissed, and that the Government had complied with the demand, appears extremely improbable. LANNES did not sail from Rochelle, the port at which he embarked for Portugal, until the 5th inst., and the account which undertakes for this information was received by the Lisbon Mail of Friday. In consequence of the refusal of the Portuguese Government to admit a French Garrison of 12,000 men into Lisbon, General LANNES has applied for his passports, which have been refused him. LANNES has not been at Court since his return to Lisbon. BONAPARTE having obtained an Imperial title for himself, is now distributing honours with the utmost profusion. He has raised 18 Generals to the rank of Field Marshals. The Princes and Princesses are to be addressed by the title of Imperial Highness. The High Officers are to be called Monseigneur. The Ministers are to have the appellation of their Excellencies; and the Marshals of France are to be styled Monsieur Le Marechal, and to be addressed with the title of Monseigneur. These arrangements are made with peculiar precision. The Portuguese frigate Caroline arrived at L’Orient the 10th.with Madame LANNES, and the Portuguese Ambassador DE LIMA. According to a private letter from Lisbon, dated August 18, received by last Mail, General SEBASTIANI was expected there as Ambassador, in the room of General LANNES, who has gone to take command in the army at Boulogne. It is asserted, that Marshal LANNES, our Ambassador to the Court of Portugal, who has been here for some time, has received orders to return to Lisbon immediately.